Audi has revealed that the all-new A8 will be revealed on 11 July, but the German manufacturer has been teasing images of the luxury saloon for a while. 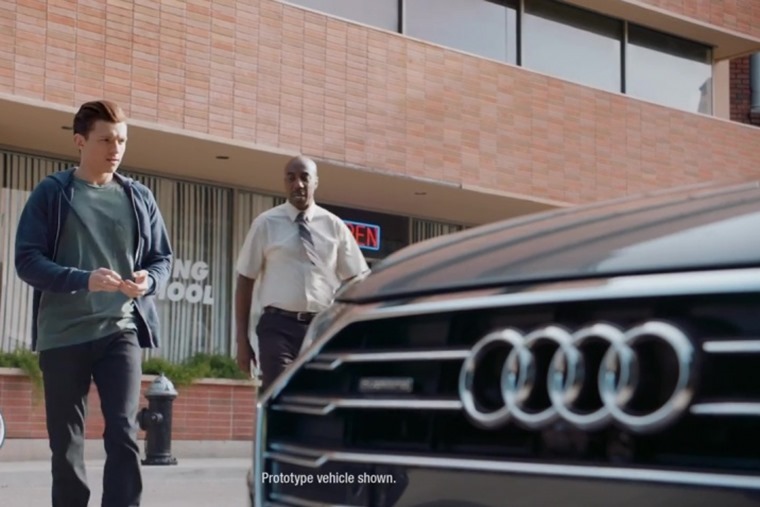 As far as product placements go, you have to hand it to Audi for getting its next A8 limo into the upcoming Spiderman movie. Joining up with the latest Marvel blockbuster isn’t just a handy piece of marketing, it’s also serving as a great big teaser for this next generation saloon that will feature hybrid power across the whole range. This is a much more important point than featuring the web-slinger’s next flick. 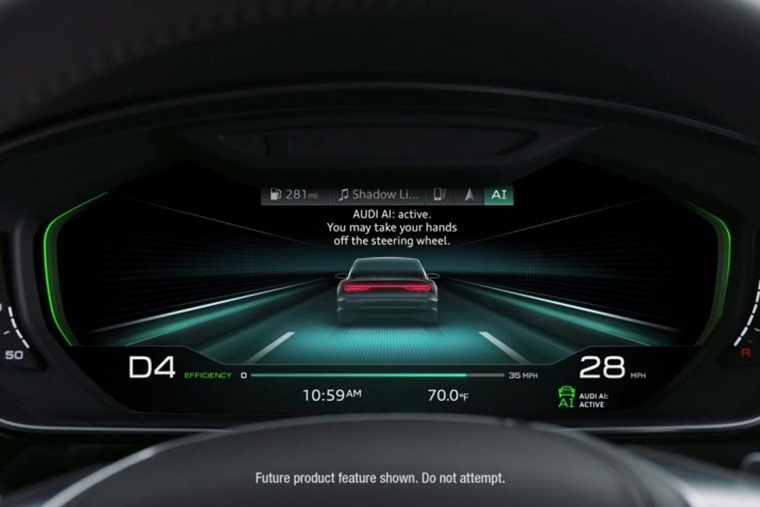 And while the marketing tie-in focuses on things such as Audi AI as well putting Audi PreSense into action, more importantly it will be the first Audi to come with an electrified powertrain in every model in the line-up. Sure, we’ve seen e-tron versions of the A3 and Q7, but they’re more standalone versions than a fully integrated offering. Just as crucially for the German manufacturer, it will be the first to offer all of its luxury line with hybrid power. Now, before anyone starts pointing out the fact Lexus has been selling LS models with hybrid power for many years, the Japanese machine has also been sold with straightforward petrol power too. It’s only more recently that Lexus has dropped the petrol-only versions to end up with a single hybrid model by default. So, Audi is leading the way in this class where diesel makes sense for many buyers but there’s still resistance from others. This is because many owners want the extra refinement of petrol power, plus its performance and they can afford the fuel bills. Hybrid, on the other hand, has the potential to offer the best of all worlds. Not only can it help reduce fuel consumption and emissions, it adds to the performance potential and raises the possibility of silent running for a certain amount of the time depending on battery charge. It seems likely that Audi will offer two versions of hybrid power in the A8. The first is set to be a traditional mild hybrid where the battery and electric motor can provide zero emissions running for short distances, as well as assisting the petrol or diesel engine to give greater acceleration. The second will be where the EV side of the car is much more to the fore and that will entail a far greater range without the need to recharge or rely on an internal combustion engine. 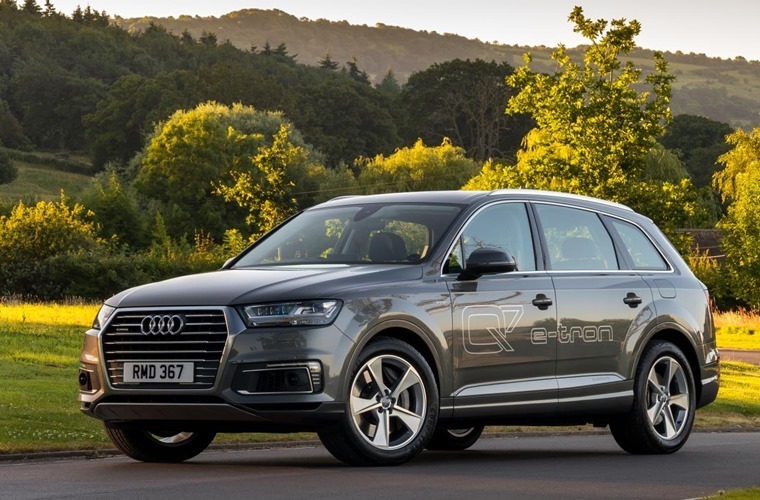 Given the A3 e-tron has a claimed battery range of 29 miles and the Q7 ups that to 35 miles, anything a plug-in A8 could achieve beyond that would be a bonus. Using the A8 for this EV development makes plenty of sense for Audi. For starters, it’s a large car so there’s lots of scope for packaging the battery and electric motors without affecting cabin space or impinging on the boot capacity. Even if it does rob a little luggage space, there will still be plenty for golf clubs or suitcases. 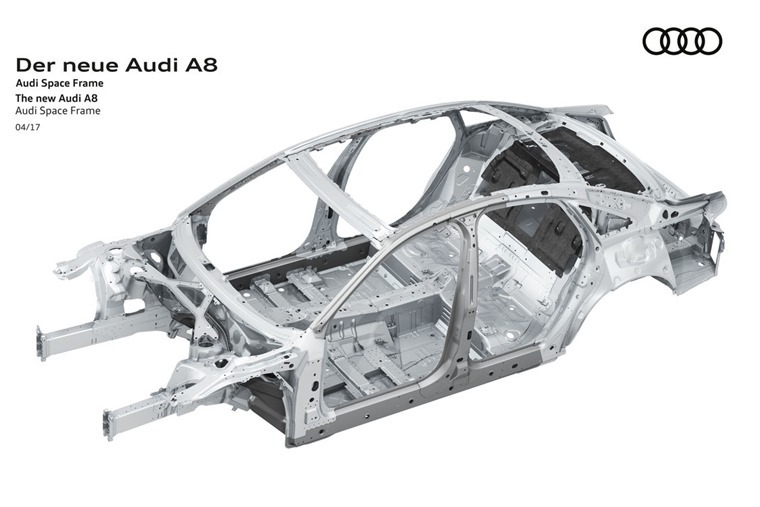 Another advantage is the A8’s aluminium frame construction that makes it one of the lightest large luxury cars in the sector. Less weight means less energy is used to make it shift, so the battery can last longer. Every little helps and it all adds up in this kind of car. There’s also strong evidence that Audi is moving back towards petrol power for the A8, with the car in the video teaser for the Spiderman film clearly using a V6 of this persuasion. For many, this will be normal service continuing, but for the large private hire business that has underpinned A8 leasing in the UK it will mark a big shift away from diesel. Of course, the Volkswagen Group has taken a huge battering over its diesel emissions and Audi has not been immune to this. Consequently, the move to a fully electrified range of A8s might well be one of the most important milestones in the firm’s history. It could even be as important as the launch of the original Quattro in defining this iconic German company. The big question is whether or not Audi will go with an all-electric A8. 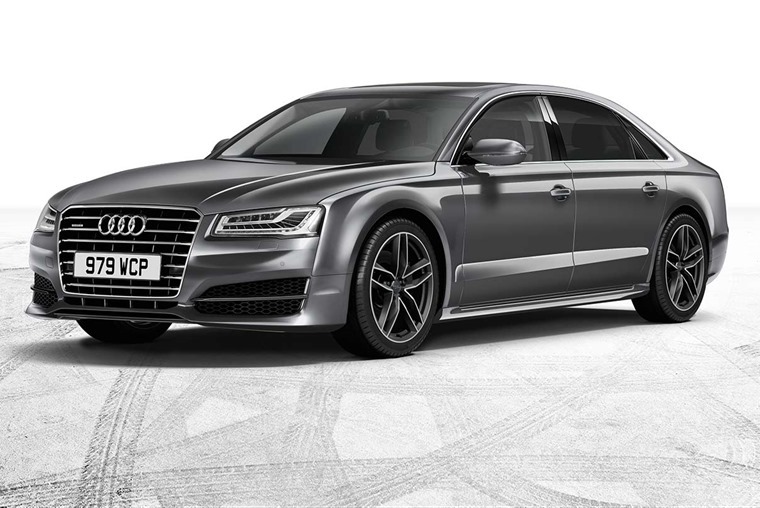 We know the MLB platform the next A8 will be based on is capable of supporting such a drivetrain, so surely it would make sense to trial such a car in an area where sales volume is not so large as to risk alienating loyal customers or upsetting production patterns. How much such a car would cost to lease is unclear and we have no indication of a list price. However, given the size of Audi as a business and its ability to produce such cars, it’s a distinct possibility. After all, a company that can get its car into the hands of Spiderman is surely able to do anything.